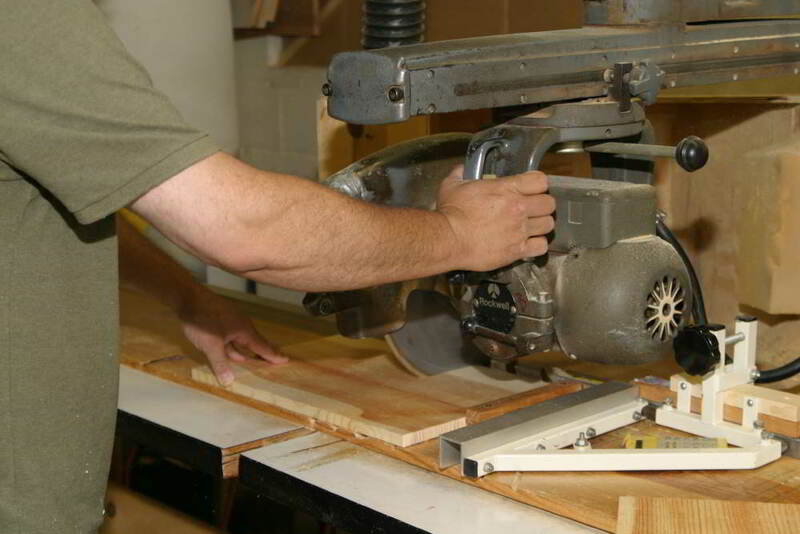 All caskets are handcrafted by dedicated employees of Cherokee Casket Company in the USA. Our Motto “Excellence without Exception” is shown in every aspect of our business from the first contact with customer service to packing our beautifully handcrafted baby and youth caskets for shipping. Ponderosa pine is cut and formed to create two different styles of wooden shells in an array of sizes from preemie up to youth. Fabric is cut from rolls of crepe, velvet ,lambskin, plush or gingham and sewn by the pattern for the size and style that is to be completed. The wooden shell and the sewn lining are brought together in the Upholstery Department along with the finishing touches that make each style unique. And finally, we have the finished product. Be sure to visit our Products Page for a look at all we have to offer! Cherokee Casket Company’s employees take great pride in handcrafting these unique caskets. 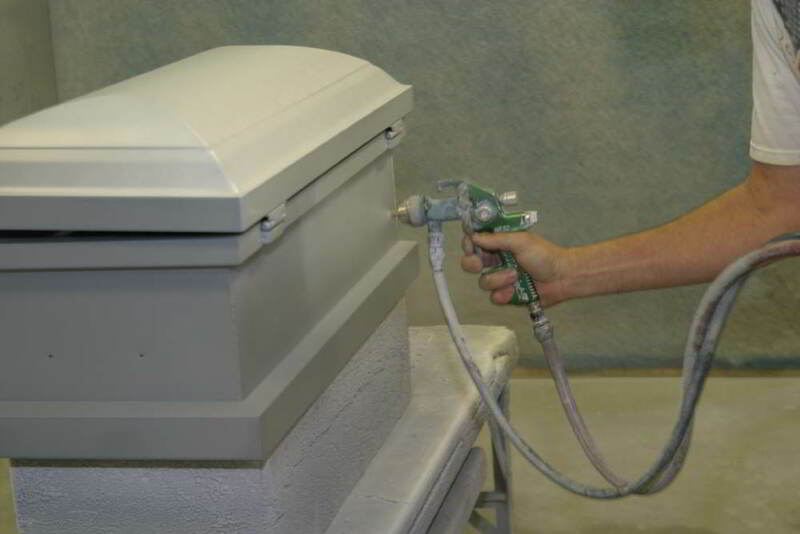 Cherokee can manufacture over 10,000 different caskets with our many options for personalization. 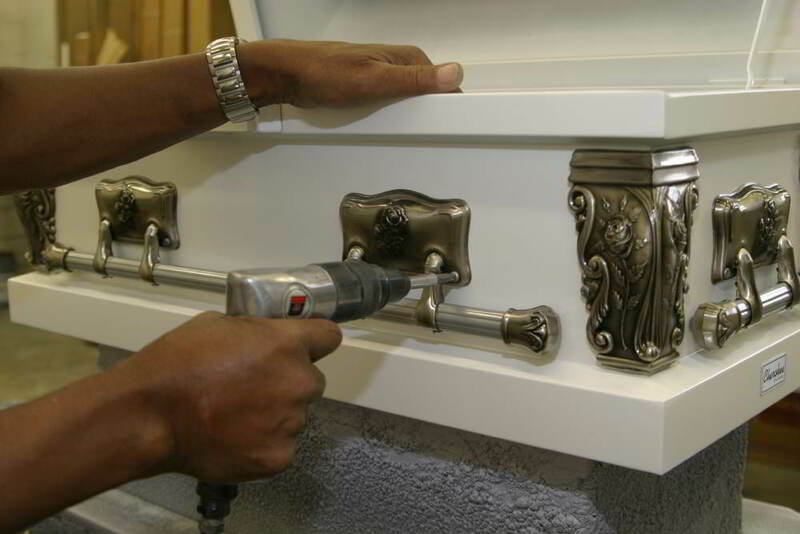 This allows the families to choose a casket that reflects the nature of their child. Each of these caskets are suitable for cremation. Vaults are available for all Cherokee caskets. Cherokee designs our caskets to show during the service and the vault to be used and seen only at the cemetery. 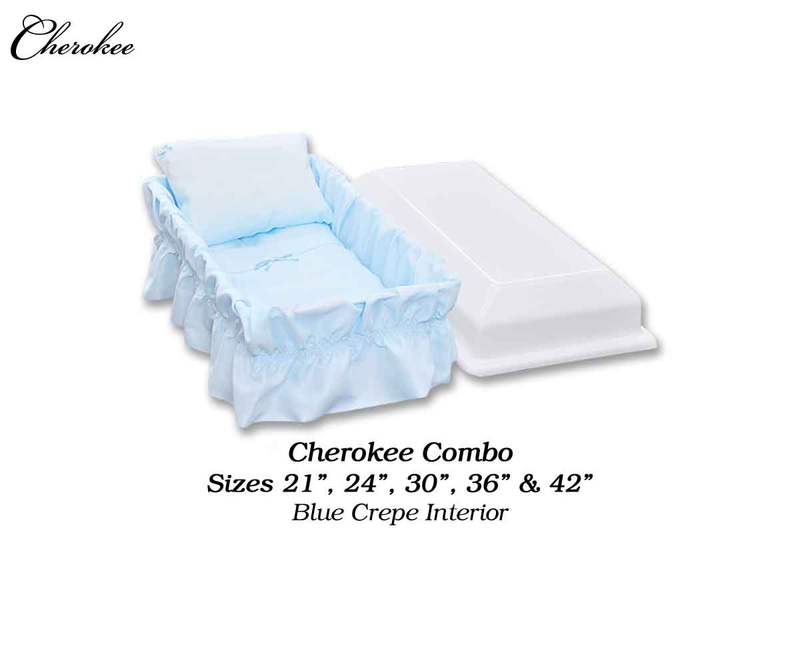 Cherokee also offers the Cherokee Combo. 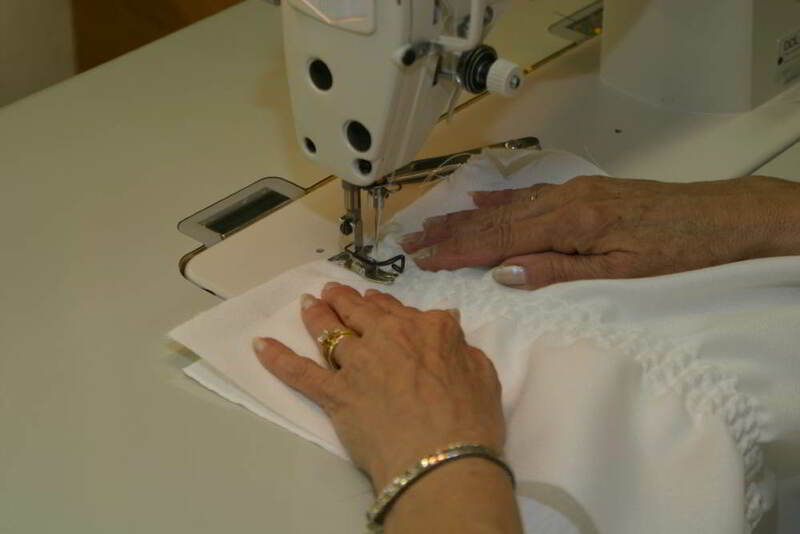 The combo is designed using our vault and the lining is created with the same quality material used in our caskets. The metal shell is stamped from 20 gauge steel and welded by manufacturers in the USA. Our child metal caskets are offered in sizes 2/6, 3/6, 4/6 and 5/6. 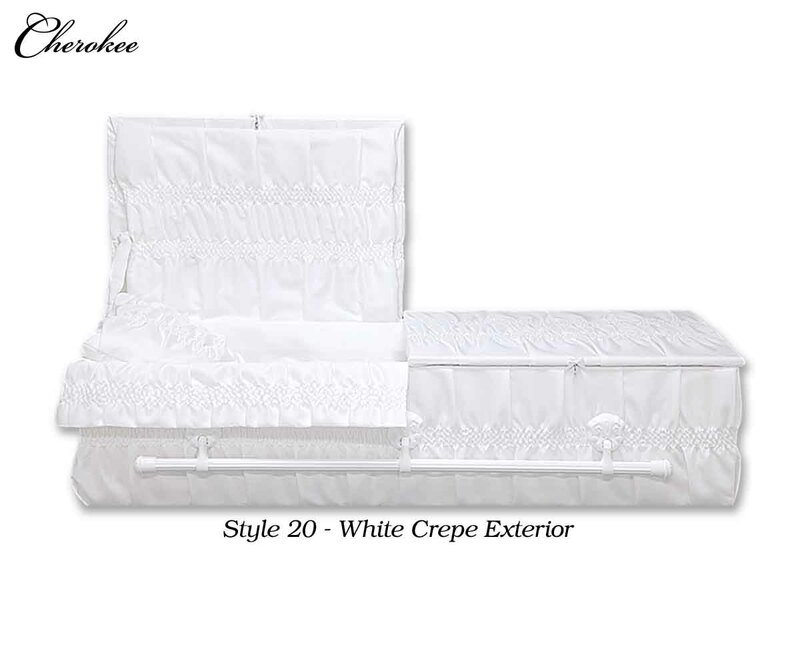 Cherokee offers metal casket styles# 200 and 500 with your choice of exterior colors, interiors, panels, and hardware. The metal shells offer the opportunity for unique personalization options. The style# 100 is a simple white metal casket with gold stationary hardware and angel corners. Hardwood shells are manufactured in the USA. These hand stained shells are finished in sizes 2/6, 3/6, 4/6 and 5/6. 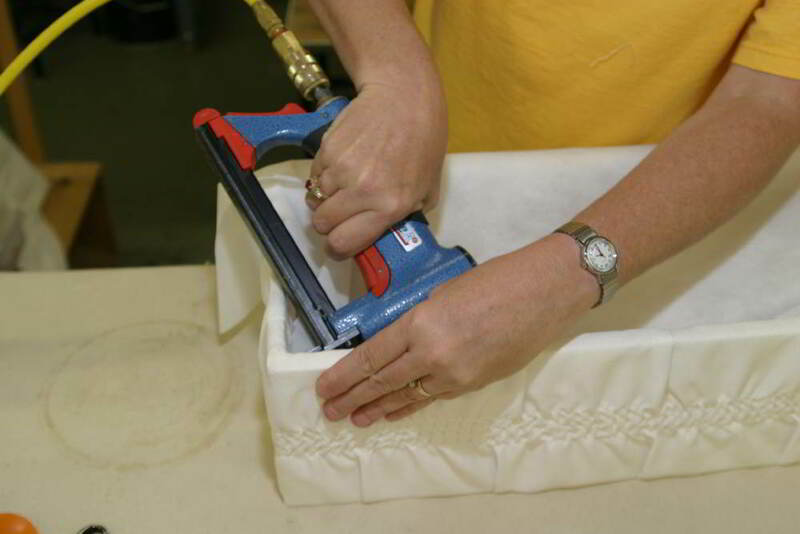 Hardwood caskets offers a variety of fabric interiors and panels. 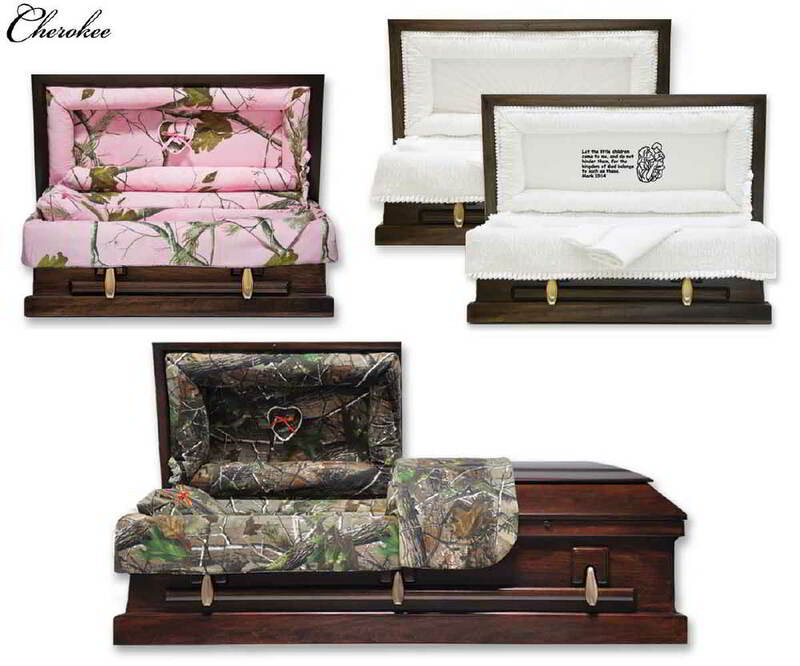 This child hardwood casket is a perfect match for the camo interiors. The style #300 Hardwood is suitable for cremation. 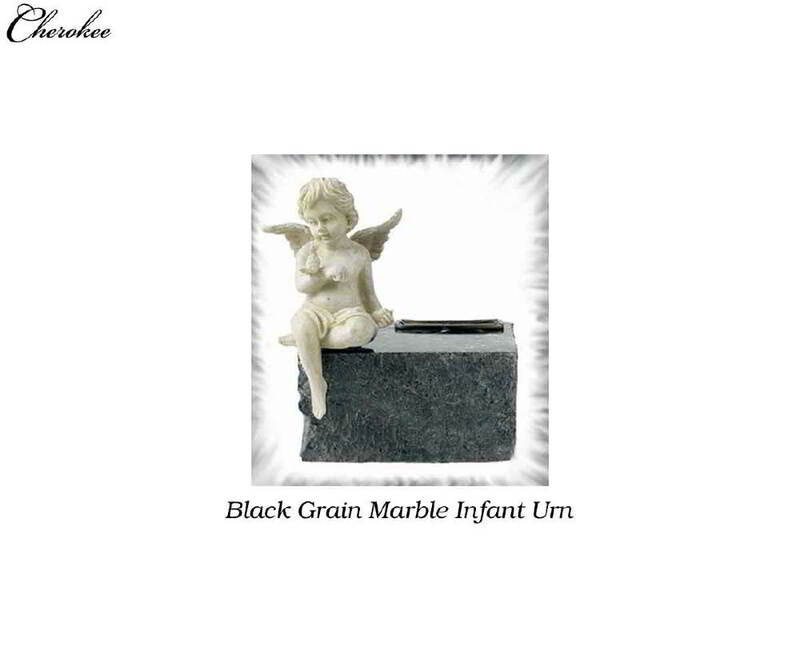 Many of the urns and keepsakes are designed exclusively for Cherokee Casket Company Inc. by urn manufacturers in the USA. 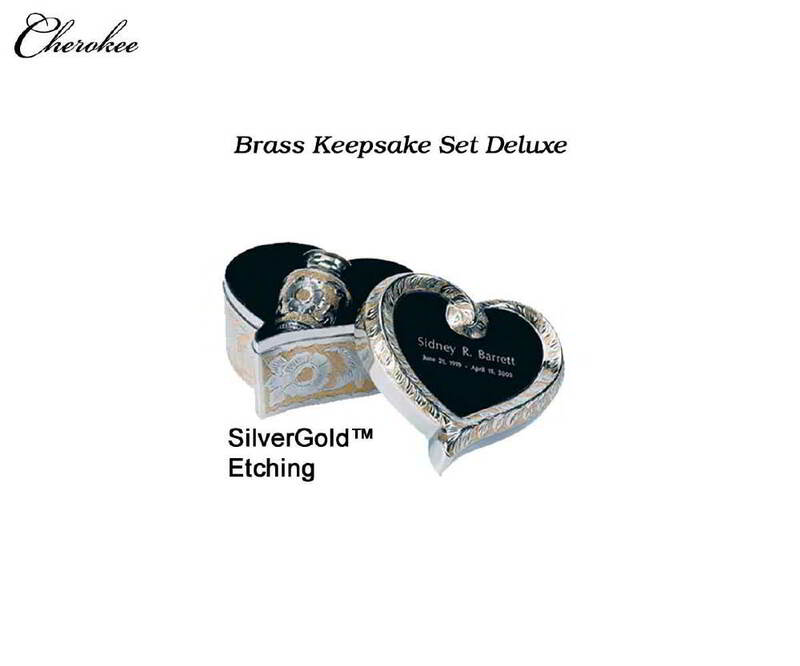 Cherokee offers beautifully crafted wood, marble and brass urns and keepsakes. 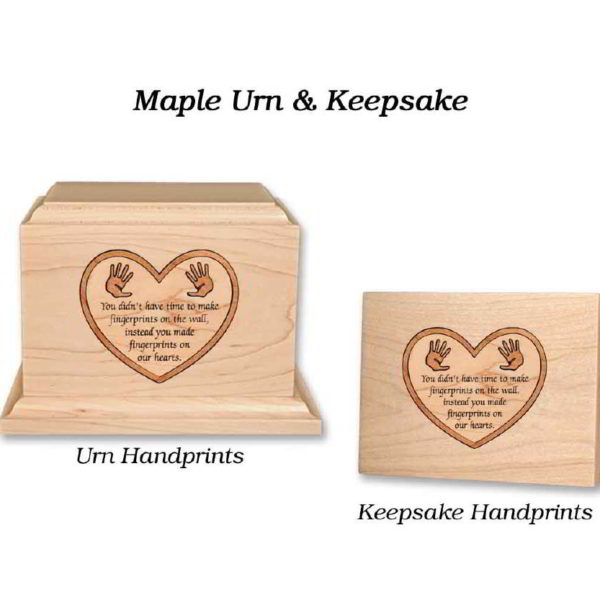 Personalization is available for many of the urns and keepsakes. 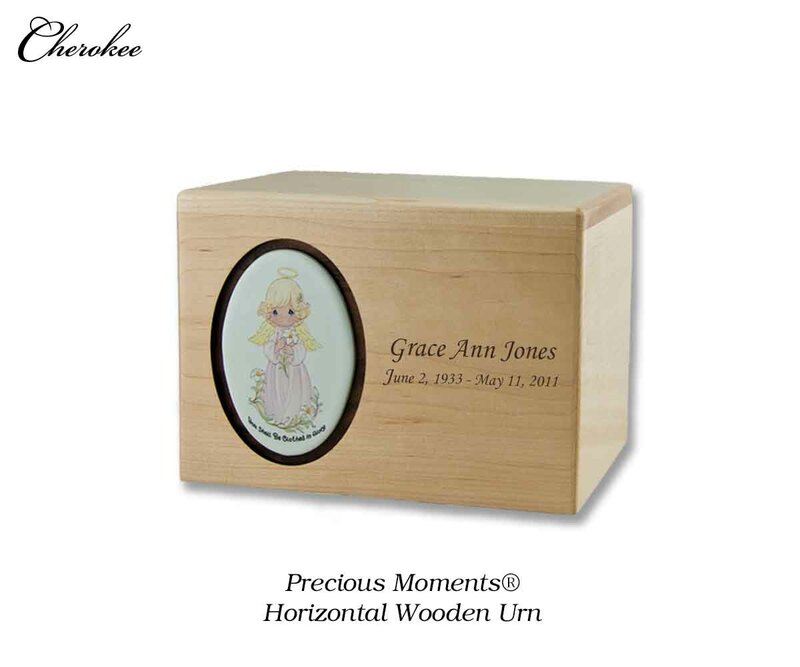 Cherokee offers several styles of memorial books and memorial boxed sets designed for a child’s service. 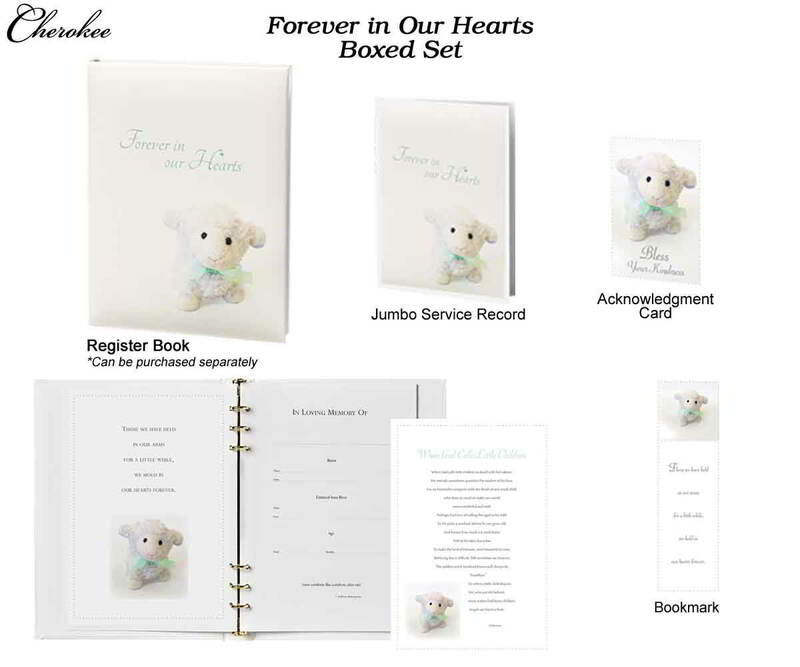 These sets are designed by one of the top bereavement stationary providers. 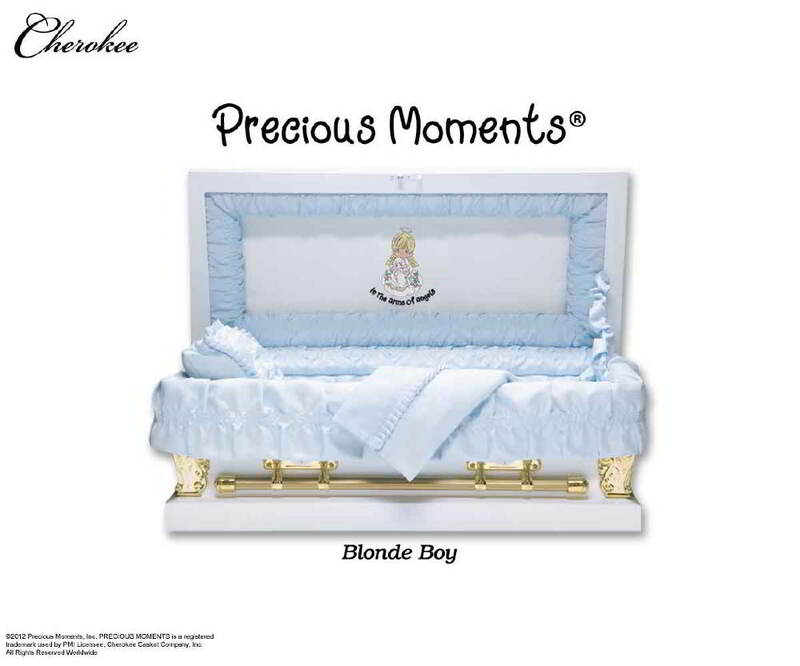 Precious Moments Inc. funeral products can be purchased at Cherokee Casket Company. 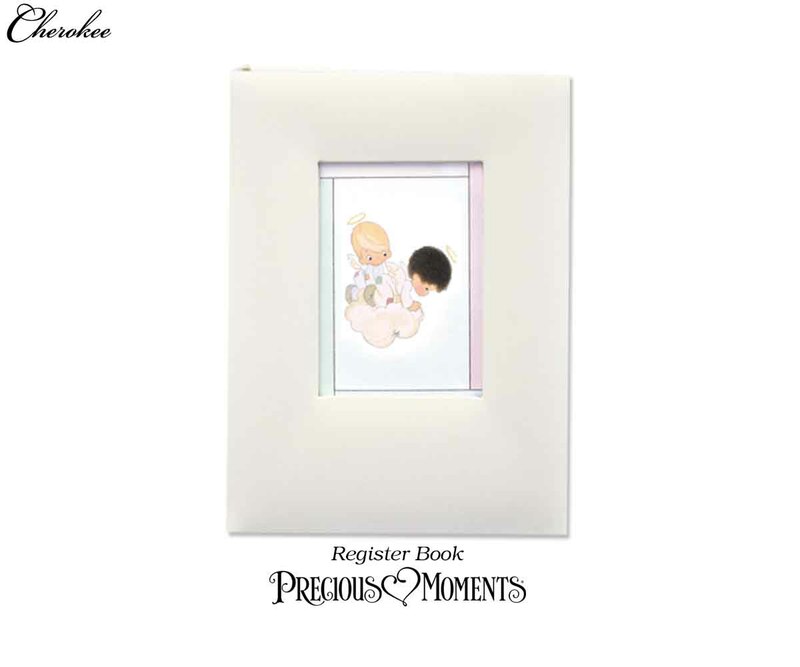 Child metal caskets, register books and box-sets, child urns and files for your monument etching are available in a variety of Precious Moment images.